Jeremy Hodgen is Professor of Mathematics Education at the University of Nottingham. He has conducted more than 20 funded research projects, including the original ESRC-funded Increasing Competence and Confidence in Algebra and Multiplicative Structures (ICCAMS). He recently completed two influential comparative studies funded by the Nuffield Foundation examining participation in post-16 mathematics and was joint-coordinator of the UK Economic and Social Research Council’s Targeted Initiative in Science and Mathematics Education (TISME). He has published widely on mathematics education, teacher education, assessment, international comparisons and standards over time. He is currently collaborating on projects in South Africa and Scotland. Prior to his academic career, he taught mathematics in primary and secondary schools in London. Dietmar Küchemann taught mathematics in several London secondary schools and then worked as a lecturer and researcher in mathematics education at Chelsea College (CSMS project), the Institute of Education London (Longitudinal Proof Project and Proof Materials Project) and King’s College London (ICCAMS project). He has also been involved in writing (and publishing) school mathematics textbooks. 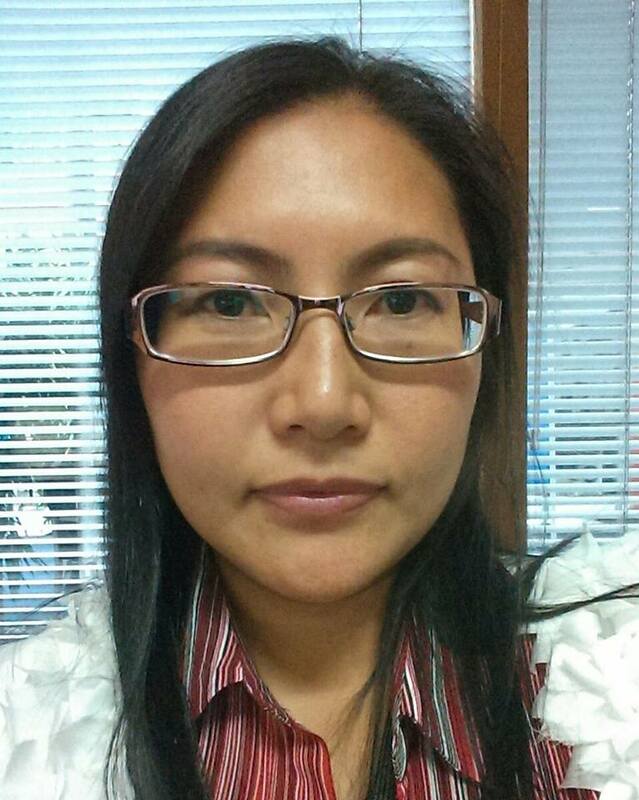 Kanchana Minson is a project administrator for the ICCAMS 2 project at the School of Education, the University of Nottingham. She has more than ten years of experience in teaching, teacher training, and educational administration in Thailand. In the past six years, she managed a community project in a voluntary organisation dealing with a wide range of funding streams including ESF, Big Lottery, Arts Council, and Police and Crime Commissioner Office. Vic Menzies is Research Trial Officer in the Centre for Evaluation and Monitoring (CEM) at Durham University. She has conducted educational research projects across the UK including projects funded by Educational Endowment Foundation (EEF) and by ESRC. These have included developing and trialling a maths peer tutoring programme, looking at early development of maths skills cross-culturally and conducting evaluations of a Saturday School Programme and a Project Based Learning intervention. Her recent focus has been on using robust methodological designs to evaluate educational interventions and she is currently doing methodological work on pilot trials in education. Rob Coe is Professor of Education and Director of the Centre for Evaluation and Monitoring (CEM) at Durham University. He is researcher in educational assessment, evaluation and evidence-based practice, and a former secondary maths teacher. As Director of CEM – the largest educational research centre in a UK university – Rob leads a team of over 100 staff, providing innovative assessment and monitoring systems to many thousands of schools across 70 countries. Rob has contributed to the writing of some key publications that connect evidence and educational practice. He is a co-author of the Sutton Trust / Education Endowment Foundation’s Teaching and Learning Toolkit and the EEF’s DIY Evaluation Guide for teachers. He is lead author of the Sutton Trust report What Makes Great Teaching? and co-author of the Teacher Development Trust’s Developing Great Teaching report. He is a member of advisory groups for a wide range of educational organisations. Jess Hugill is a Research Assistant at the Research Hub at the School of Education (RHoSE). Her qualifications include a BA, PGCE and MSc. She previously worked as a primary school teacher before moving into research in psychology, education and neuroscience. She has enjoyed working closely with nurseries, primary and secondary schools as part of her role in ICCAMS and in previous research positions. Maria Pampaka is currently holding a joint position, as a Lecturer at the Institute of Education and the Social Statistics group, at the University of Manchester, UK. Maria has recently completed a longitudinal ESRC project researching teaching and learning practices in secondary school mathematics and has several years of experience in a series of ESRC projects as well as governmental evaluations (including another ongoing EEF evaluation). She is substantially interested in the association between teaching practices and students’ learning outcomes, focused in mathematics and related subjects. Methodologically, her expertise and interests lie within evaluation and measurement, and advanced quantitative methods, including complex survey design, longitudinal data analysis, and missing data and imputation techniques. Lawrence Wo is a research assistant at the Institute of Education at the University of Manchester and has worked on mathematics education projects since 1999. His work has been mainly technical, creating/managing websites, surveys, databases, as well as writing, for example, simulations, online tools for teachers, and scripts to automate the more repetitive tasks or to explore data in projects. Lawrence was studying for his PGCE in Secondary Mathematics before he took up a role in the School of Education. Julian Williams is Professor of Mathematics Education at The University of Manchester, where he led a series of ESRC-funded “Transmaths” research projects that investigated mathematics education in the post-compulsory transitions from school to university. He has a longstanding interest in curriculum, pedagogy and assessment in mathematics and across STEM, in mathematical modelling, and in links with vocational and outside-school mathematics. This work has led to interests in social theory and the political economy of education. During this evaluation he will be supporting the development and analysis of the process evaluation and reportage. Graeme Hutcheson‘s teaching and research interests are broadly in the area of methodology and data analysis. His PhD was a study into the acquisition of complex syntax in children and since then he has worked on a number of projects from a wide range of research areas including the conversational behaviour of children, interviewing techniques used on child witnesses, alcohol use in the workplace, the application of knowledge-based expert systems, the application of generalized linear models in predictive modelling, multi-level analysis of data related to Inclusion and Pupil achievement, an assessment of the Early Support Project (DfES) and a project investigating mathematically demanding F and HE programmes.